Recognized as a leader in the field of architectural millwork since 1987, Trial specializes in custom commercial development. Working in close collaboration with clients from around the world, Trial is able to create the most unique spaces in keeping with the highest of standards and expectations. Our team of over 100 employees is there to ensure your project is a success, from start to finish! 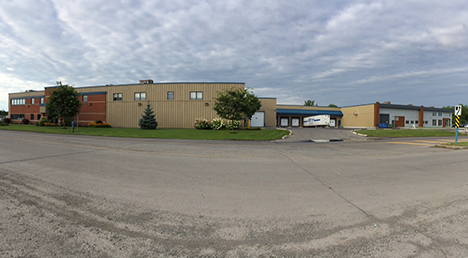 Based in Salaberry-de- Valleyfield (Quebec, Canada), Trial boasts an international customer base and, as such, has developed an incredibly efficient distribution network to meet the latter’s demands. Our factory of over 100,000 square feet enables us to carry out your most ambitious projects and store them in our facilities until you are ready for them to be shipped to you. Our innovative and eco-conscious approach and expertise make us the perfect ally when it comes to making your vision of a living or work space a reality. We make optimal use of the material your project calls for—whether it is wood, exotic species (or just about anything else! )—in order to obtain the most spectacular results. We’re ready to take on any challenge you might have for us! Customer satisfaction is the key to our success. That’s precisely why we are committed to providing service of the highest quality and creating a true partnership with our clients. It goes without saying that nothing stands in the way of our commitments. Technological progress and productivity are the direct result of training, a need for ongoing improvement as well as innovation. We stand apart from the rest by providing our employees with a stimulating work environment, where creativity and initiative are encouraged and nourished. Trial’s underlying strength rests in the pride that comes with being part of a leading-edge team as well as in having a true passion for what we do. The personal commitment and strong sense of professional accountability demonstrated by each and every team member has contributed to positioning Trial as a leader in its field. Whether as an employer, client or supplier, Trial maintains the highest standards of integrity and honesty in an effort to form lasting relationships of trust with all of its partners. We take our responsibilities very seriously when it comes both to ensuring the best possible working conditions for our employees and when it comes to doing whatever we can to protect the environment. Where our employees are concerned, we do whatever it takes to provide safe and secure production areas and we always strive to ensure the best possible work conditions. And, when it comes to the environment, we are continually seeking out the expertise of our clients and suppliers in an effort to find new solutions and more ways of integrating environmentally friendly products. Trial is a leader in architectural millwork and specialized in designing and manufacturing high-end furniture and interiors. Our goal is to develop long-term business relationships with our clients so we can be there to help consistently carry out all of their projects. Our success is the result of creativity, education and, above all, a passion for what we do. By maintaining high-quality standards and demonstrating the utmost respect in our interactions with colleagues as well as with regards to health, safety and the environment, Trial hopes to serve as a model employer, business partner and corporate citizen. 1996 Bronze SME Award from the National Bank. 1997 Small Manufacturing and Construction Business Award. 1997 Grand Jury Prize from the Chamber of Commerce of Salaberry-de-Valleyfield. 1998 Grand Jury Prize from the Chamber of Commerce of Salaberry-de-Valleyfield. 2003 Certificate of Merit Outstanding National Association of Store Fixture Manufacturers at GlobalShop for the Jacob Project at Carrefour Laval. 2006 Design Award from the National Association of Store Fixture Manufacturers for the West Elm boutique project in Highland Village (Houston, Texas). 2010 Most Valued Partner Award presented by Guess. 2013 Award from the International Currency Exchange. 2015 Best Cabinetmaking Supplier Award presented by Guess.